7.30 pm to 9.30 pm. £15 (£10 Early Bird Booking). During this fun workshop, we will explore the natural attitudes and skills certain people possess to be and stay happy. We will then look at the best ways we can easily adapt these ideas to be happier, more relaxed, less stressed and less anxious. Learn The Secrets Of Being Happy. Happiness is just a good habit that happy people do automatically. These natural skills are easy to learn and practice until they become a natural habit. They make life better, easier and more enjoyable. This workshop is hosted by Mark from Newcastle Hypnotherapy. 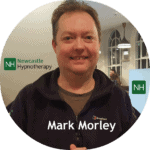 Mark is a clinical hypnotherapist and master practitioner of NLP and has many life-improving skills to share. You can also learn more about the many regular events by joining our newsletter here. Your privacy is always safe with us and you can unsubscribe at any time. The Secrets Of Being Happy is part of The Secret Workshops that run from The Vault and other locations across the North East and Newcastle. If you would like to suggest an event or idea please Contact Us or find us on our Facebook Page below. The Secret Workshops also have a Facebook Group with details and discussions of the regular life-improving workshops. You can easily join the group today by CLICKING HERE NOW. 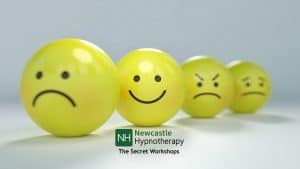 Newcastle Hypnotherapy offer specialist help for many issues including problems with Stress, Anxiety, Self-Confidence, Depression and change work. You can arrange your free 15-minute phone consultation at the top of this page to discuss your issue and look at the best way forward for you.